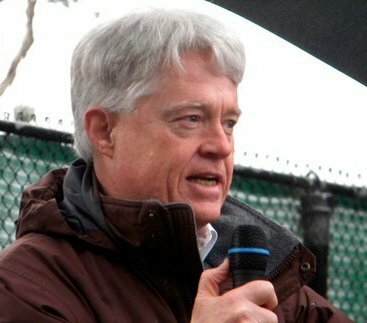 We Live In A Political World: #48 / Who Profits From A Multi-Planet Civilization? #48 / Who Profits From A Multi-Planet Civilization? 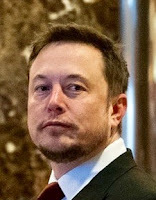 Pictured above, twice, is Elon Musk, the CEO of Tesla, Inc. Tesla builds motor cars. 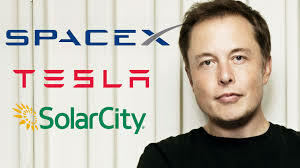 Musk is also the CEO of SolarCity, which fabricates photovoltaic panels, and SpaceX, which builds rockets. Last December, Musk joined President Donald Trump’s Business Advisory Council, and he's sticking with it. Some business leaders aren't. Kalanick's communication to Uber employees focused on the impact of the Trump Executive Order on people located right here on Planet Earth. That actually seems like a pretty good priority. Musk is more concerned about some hypothetical "other planet" that could support human civilization, and I think there is a little problem there. Spending lots of money on trying to create a "multi-planet civilization," when civilization still has quite a ways to go right here, strikes me as a major distraction. Heading for outer space, in other words, as part of a quest to create a "multi-planet civilization," is just a waste of talent and money. However, I do think I know what's going on with Musk. I may be getting just a bit cynical, as I get older, but since we know he is in the rocket business, I think Musk is just looking for one more profit center.